Achievement Center for Therapy / Speech & Language / GETTING YOUR TODDLER TO TALK: How It All Begins. GETTING YOUR TODDLER TO TALK: How It All Begins. 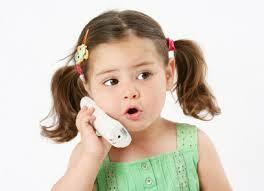 Every parent knows that your communication with your child rises to a new level when the child learns to talk. Once a child can tell express his or her self verbally, you gain more insight into the child’s needs, wants, fears and joys. Conversing with a child can bring great joy, humor and the occasional embarrassing moment. Oral communication doesn’t happen overnight. The learning process begins with the imitation of sounds and continues throughout his or her life. Before an infant even begins to try to use words, he or she will begin to make efforts to replicate sounds. That replication can then evolve into speaking by repeating words that the child hears. The child will also practice making sounds by voice, cooing, grunting and sometimes screaming and shrieking. In this article, we will use the terms “speak” and “talk” not as synonyms, but as two different skills. We will use “speak” to mean the physical formation and pronunciation of words, and “talk” will mean the use of words in proper context and syntax as a means of communication. Speech frequently begins with the child’s imitation of physical movements that produce sounds, such as clapping, stomping feet and banging objects together to create sounds. These imitations are easy and immediately gratifying to your little noisemaker. One of the most exciting things about infants and toddlers is their eagerness to build on their successes. Once a child masters making sounds with hands and feet, he or she will start to imitate noises made by mouth. The “kissing smack” comes easily, as does the clicking of the tongue. So will the “motorboat” or “raspberries” sound. You may get a little tired of that one. Early word forming is on its way. The child will add vocals to the physical movement and then begin to organize those sounds into words. “No!” is often a child’s first word. As the child explores the house and its potentially dangerous objects, he or she hears “no” fairly frequently. Also, the word forms easily in the child’s mouth. So what may seem like negativity on the part of your youngster can also be just the excitement of conquering that first word. So celebrate that first real word, whatever it may be, and get started on developing speech. Just remember that from that first word forward, you’ll need to watch your language.